The Catholic Underground is the Catholic young adult group for Sheboygan County. The CUs meet twice a month for dinner, socializing, and discussing a Catholic topic. They meet at The Lodge (327 Giddings Ave, Sheboygan Falls-Right next to Blessed Trinity Parish) on the 1st and 3rd Monday of each month from 6:30-8:00pm. All young adults are welcome (18-39)! The CUs also host special events including Theology on Tap and other speakers. You may also find them doing random fun activities like campfires, bowling and game nights. For more information and to find out the topic for the week, visit our face book page: “Sheboygan’s Catholic Underground” or contact Shannon Ausloos at (920) 452-2759 x 302. We look forward to seeing you there! 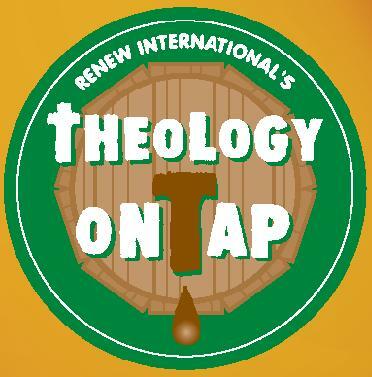 Theology on Tap is a free summer speaker series for married and single adults in their 20s and 30s. Every week in July we gather at a bar to hear great presentations, enjoy free beer and appetizers and socialize. Topics and speakers change every year. Presentation examples: Shut up and Listen! (hearing God in prayer), Eternity: Smoking or Non? (Heaven, Hell and Purgatory), and Self-Gift as a Path to Holiness (social and sexual self-gift). Look for this year’s topics as we get closer to July! Please contact the Director of Faith Formation: High School & Young Adult, Shannon Ausloos, for more details about any of the above programs. She can be reached at auslooss@catholicsouthside.com or (920) 452-2759 x 302.